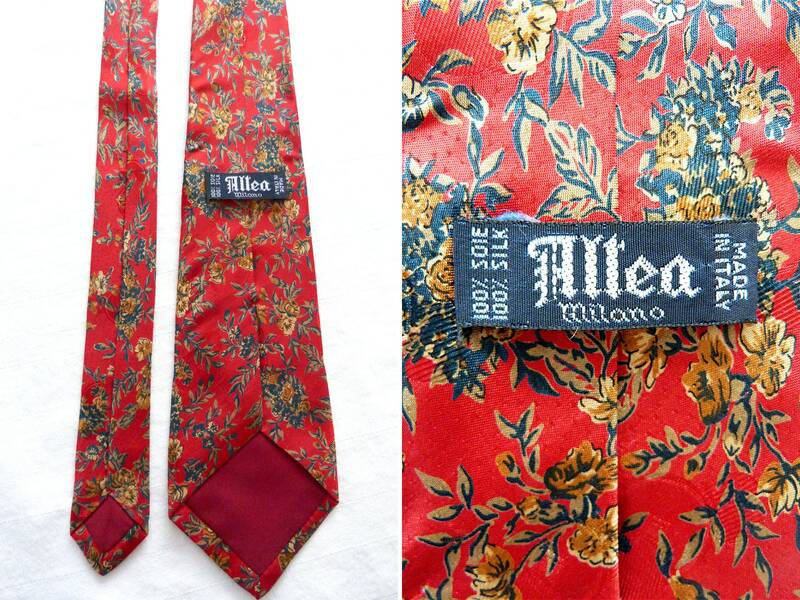 Very beautiful 100 % silk long tie from ALLEA, Milano. 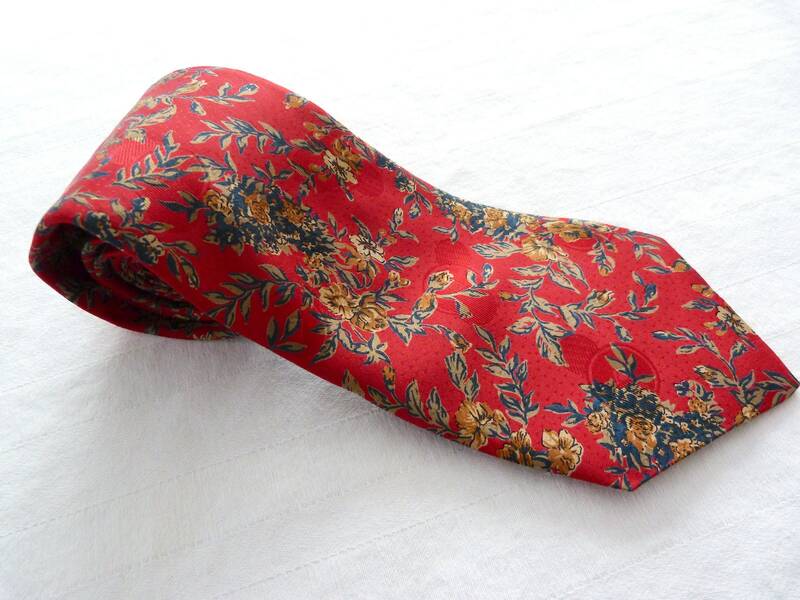 A beautiful flower print in tones of brown and green on a soft glints textured red fabric. 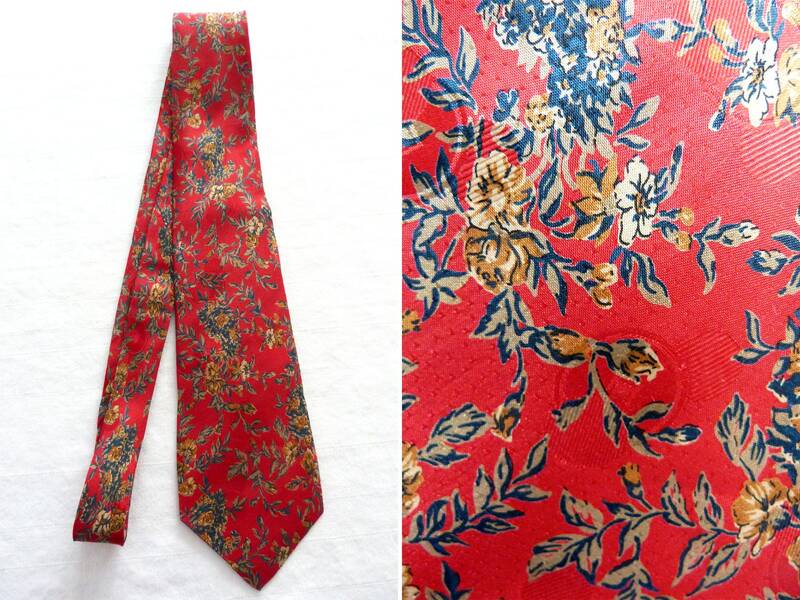 The red is really nice and deep, not flashy, and it will brighten elegantly a dull sober outfit.